Bexhill Town and Rye Town are two of the three teams promoted to the Macron East Sussex Football League Premier Division. The Macron East Sussex Football League has revealed its line-up for the 2017/18 season. The local league will again contain six divisions and there will again be 63 teams - the same amount as which finished last term. The Premier Division will contain 12 sides and has a strong look to it. 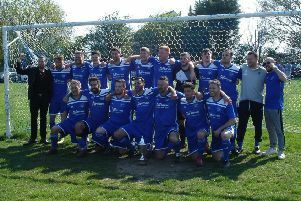 The top three from Division One last time out - Rye Town, Bexhill Town and Crowhurst - have come up, replacing relegated pair Rock-a-Nore and Westfield II, and Eastbourne Rangers, who have joined the Mid Sussex Football League. Divisions one to four have 10 teams each, and Division Five has 11 sides. There are four new clubs in the form of Ninfield VFC, South Coast Athletico, AFC Hollington and Beckley Rangers, while Wittersham and Sovereign Saints have added second sides. The action will get underway on Saturday September 2. 2017/18 Macron East Sussex Football League constitution 2017/18 - Premier Division: Battle Baptists, Bexhill Town, Crowhurst, Hawkhurst United, Hollington United, Old Hastonians, Ore Athletic, Robertsbridge United, Rye Town, Sedlescombe Rangers, Sidley United, St Leonards Social. Division 1: Bexhill AAC, Hastings Rangers, Herstmonceux, Little Common II, Mountfield United, Northiam 75, Rock-a-Nore, The JC Tackleway, Wadhurst United, Westfield II. Division 2: Battle Baptists II, Bexhill Rovers, Bexhill United II, Hollington United II, Icklesham Casuals, Mayfield, Peche Hill Select, Sovereign Saints, St Leonards Social II, Wittersham. Division 3: Catsfield, Hawkhurst United II, Magham Down, Pebsham Sibex, Punnetts Town, Sandhurst, Sedlescombe Rangers II, The JC Tackleway II, Ticehurst, Victoria Baptists. Division 4: Bexhill AAC II, Bexhill Broncos, Burwash, Cranbrook Town, Ninfield VFC, Orington, Parkfield, South Coast Athletico, Sovereign Saints II, West Hill United. Division 5: AFC Hollington, Battle Baptists III, Beckley Rangers, Hampden Park, Herstmonceux II, Icklesham Casuals II, Northiam 75 II, Robertsbridge United II, Sedlescombe Rangers III, West Hill United II, Wittersham II.